Weekly Glimpse #13: Traps – Polska Lemon Ltd. 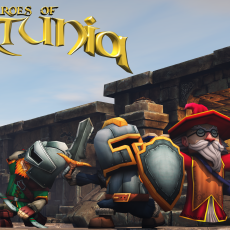 In today’s weekly glimpse, we are finally going to take a look at traps in Heroes of Fortunia. This post will cover what they are, what they do, and how to use them efficiently. Traps come in many different shapes and sizes and fulfill different purposes. With minions, while they may have different abilities and stats, when it boils down to it every minion is going to attack the enemy hero. Traps are different. With traps, you never know what to expect because they are so rich in diversity! However, in order to make this post a little more simple, we’ll split traps into two groups: Functional and non-functional. Barrels & Walls are non-functional traps. 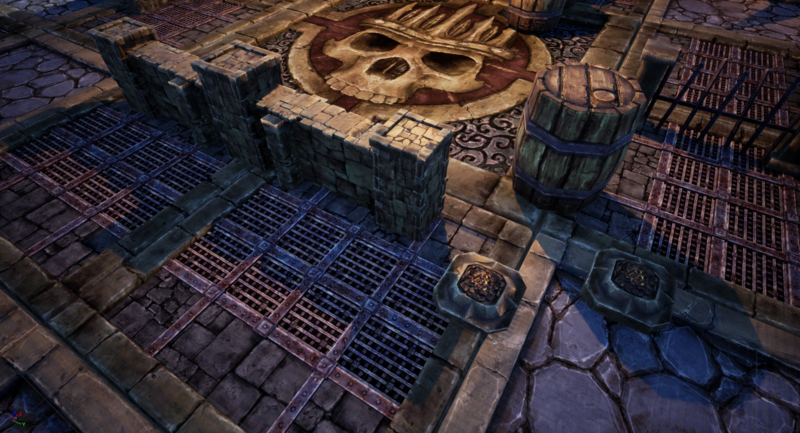 Non-functional traps are basically just stationary barricades used to funnel the enemy hero through pre-designed paths, or maybe you even only put them in your dungeons for aesthetic purposes. They act like a wall and thus cannot be passed through (by either enemies or heroes), but other than that they don’t do anything. They have a very low defense rating and come in many different shapes and sizes, so it is truly 100% up to you how you design your dungeon. 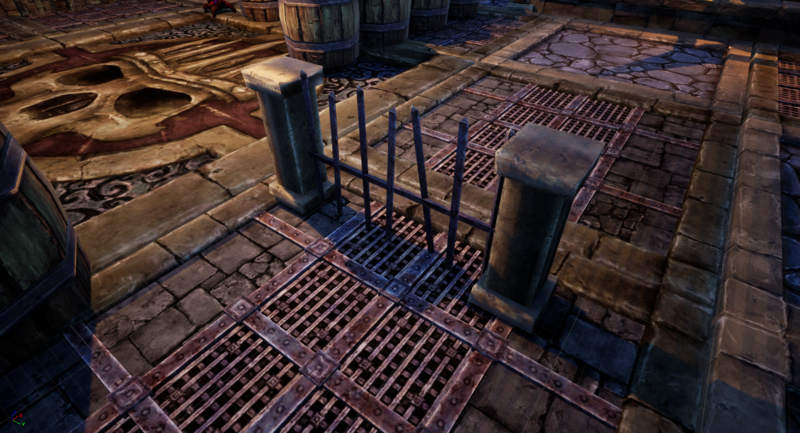 The Defense Gate is a functional trap. Functional traps on the other hand serve a very specific purpose. 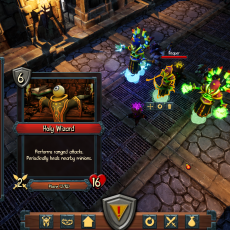 The picture above shows the Defense Gate, which is an essential part to anyone’s dungeon because it fulfills an important purpose, in that it forces heroes to engage enemies in pre-set locations. That’s because the Defense Gate will close once an enemy is engaged, and it will only reopen once all engaged enemies have been defeated. There are many other functional traps to be found in Heroes of Fortunia, so you can expect the next couple weekly glimpses to take a closer look at them. Be sure to subscribe to our newsletter on the front page to be instantly notified once a new blog post is published, and be sure to check back next week!